There are no photos with those IDs or post 17555 does not have any attached images! 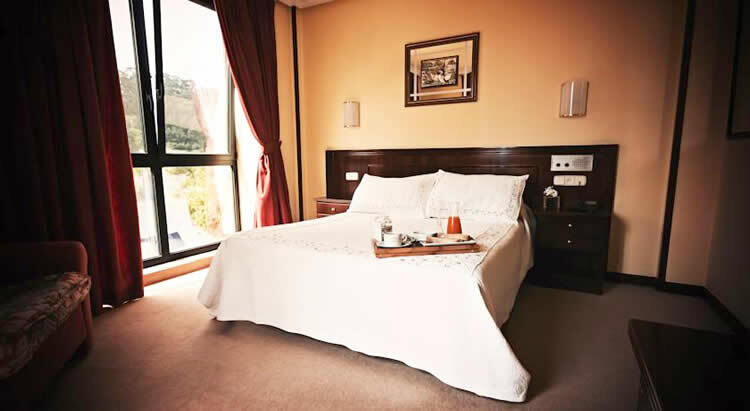 The Piedras Hotel is located in the town of Piedras Blancas, a town to 10 minutes by car from Avilés, the same distance that there is to the airport of Asturias. The 14 rooms are decorated in a rustic style, all have a flat-screen TV, piped music, heating, city views and a private bathroom with free toiletries and a hairdryer. We offer free Wi-Fi connection. We have a restaurant for 90 diners It offers local cuisine and daily breakfasts, cafeteria and outdoor terrace. We offer outdoor parking and own underground garage, with lift adapted for people with reduced mobility that facilitates the arrival to the rooms. The hotel also has Meeting facilities and banquet rooms.